How can you recognise a Brymore Boy? 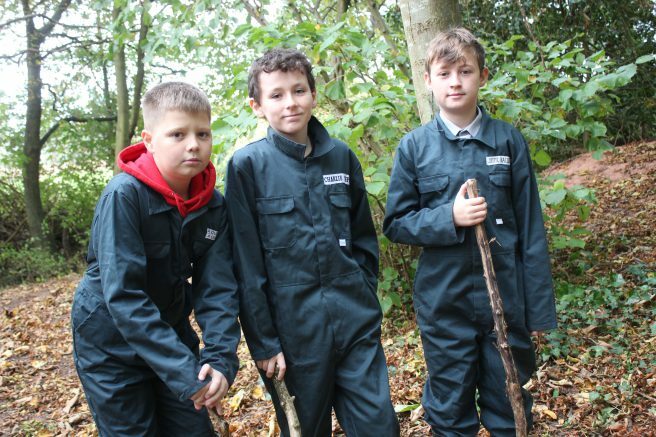 Forest School has been running at Brymore for the past few years, working with Year 7 students offering, on a rolling programme, the opportunity to participate in outdoor projects. Mr Ball is our Forest School Leader and takes all of the groups along with two Forest School assistants. We have the perfect venue at Brymore to stage Forest School within our own woods, providing a safe environment on site and giving us the best use of time. 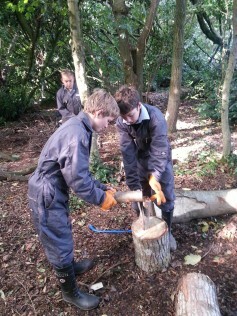 The students will be involved in a number of activities including: setting up a Forest School base camp, making mallets, tree identification, building shelters, making hurdle fences, learning about the environment and many other outdoor learning opportunities! These practical tasks are also ideal for developing social skills, teamwork, mentoring and fostering respect amongst the peer group. We know that all of these skills are vital for the boys to continue to develop as they begin their journey at Brymore. © 2019 Brymore Academy. An Academy sponsored by Bridgwater College.